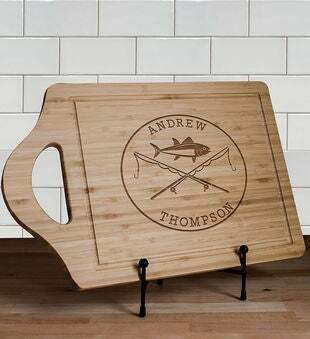 Our Engraved Fishing Poles Cutting Boards makes the perfect gift for Father's Day, Birthdays, and Special Occasions! Our bamboo cutting board can be custom personalized with any name. If they love fishing and grilling this is the perfect gift for them!